Efficient size and shape fits tight spaces. 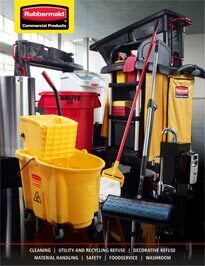 Durable, all-plastic construction is easy to clean and provides long life. Most specified containers behind bars and desk side. Create a recycling center near copiers, printers and mailrooms. Colors: Beige, Black, Brown, Gray, Blue, or Yellow.